Founded in the spring of 2007, Peachy Essay was the brainchild of a team of highly experienced academic writers, who thought it about time that students everywhere had the opportunity to gain access to articulate, professional and detailed essays and dissertations. Working with a variety of students from medicine to the arts, technology to law and many more in-between. Essentially, in today’s modern world, stress and lack of time are a constant burden for many, especially for students. At Peachy Essay we understand this more than most, so that is why we offer a tailored service for each student, no matter what you’re studying, what length your essay or dissertation needs to be. With many essay writing services, there will often be some confusion over whether the essay you get has been plagiarized or not. Well, with Peachy Essay you do not need to worry, each essay is written for you and you alone, our academic writers pride themselves on giving their all to each client and producing grade achieving essays of the utmost quality and professionalism. Each member of our broad team is qualified in specific subjects, so you know that your essay is going to be written by someone who knows the subject in-depth. 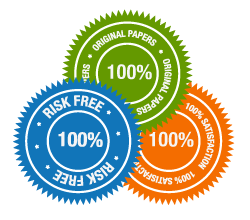 Moreover, every essay is quality checked and verified plagiarism free before we send it off to you. We will never re-use or re-sell an essay or dissertation. Within a few years, Peachy Essay has become the number one essay writing service on the internet, achieving hundreds of satisfied customers from across the globe delivering world class academic research, reports, university assignments, dissertations, proposals, personal statements and many more. If you would like to find out more, and specifically how we can help you, then please get in touch and one of our team will happily take you through the process.